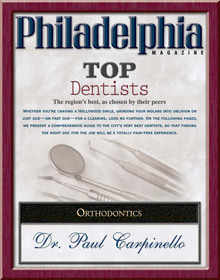 Hello and welcome to Carpinello Orthodontics, where we are changing the world one smile at a time! We believe that orthodontics is more than just straightening teeth. It enhances a person's health and appearance, as well as self-esteem and confidence. My team and I provide the highest quality of orthodontic treatment available for children and adults, applying advanced techniques using the most up-to-date appliances and braces. We take great pride in the courteous service we provide to every person who enters our office. It is our goal to exceed the expectations of our patients and families. We are honored that you have placed your trust in our practice to provide you with beautiful, straight teeth. 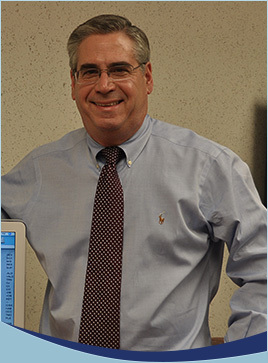 I actively participate in continuing education seminars to keep up-to-date on the newest orthodontic techniques and technology to make sure my patients receive the best care. I am a longtime resident of Delaware County. My hobbies include scuba diving, squash, handball, and supporting our Philadelphia sports teams.